Every pony in Equestria has a sense of style, but nobody has it like Miss Pommel! 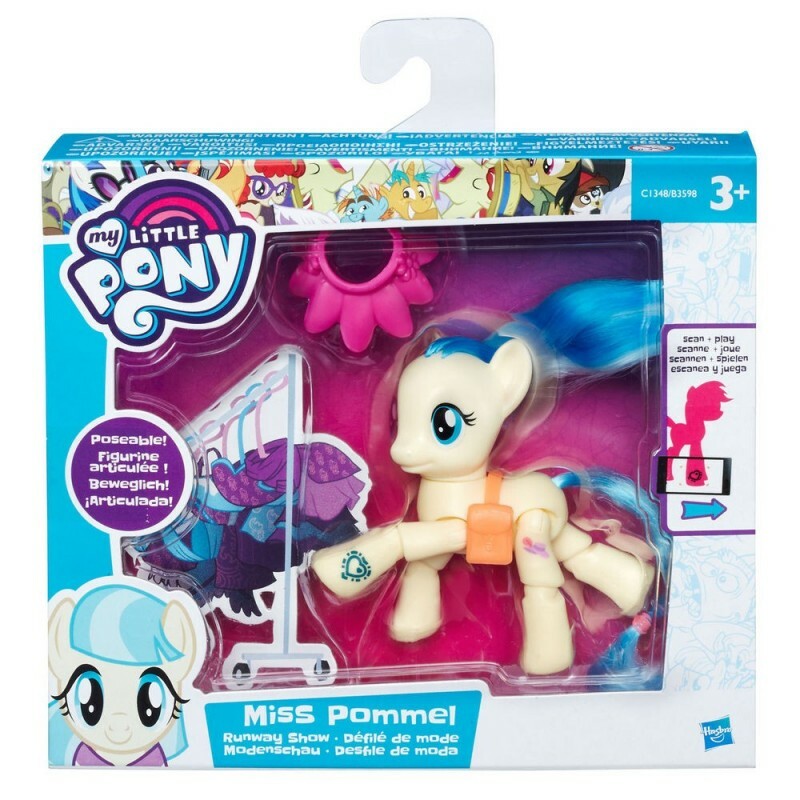 This poseable Miss Pommel pony loves fashion, and she’s got the accessories to make her the fanciest pony on the runway – including her very own saddlebag. When you scan her necklace into the My Little Pony Friendship Celebration app (device not included), you can unlock her character in the app! You’ll have the most fashionable friend in Equestria with this Miss Pommel pony pal!